The Piano Guys have put their renowned instrumental spin on the BTS track “Epiphany” which comes from the South Korean native boy band’s latest album, Love Yourself: Answer. The haunting, soul-stirring cover features Jon Schmidt on piano and Steven Sharp Nelson on cello. In the video for the cover, the duo is playing white instruments in what appears to be an exposed-brick loft space. The delicate melody takes on an ethereal quality as it floats out of their instruments. As the camera circles around them, Nelson appears to be completely immersed in the song. Their take on it is breathtaking. The Piano Guys are known for covering all sorts of songs across a wide array of genres. Notable covers include Taylor Swift’s hopeful Red ballad, “Begin Again,” Phillip Phillips’ folk-rock hit “Home,” One Direction’s “Story of My Life” and many more. Their BTS effort may arguably be one of the duo's most beautiful covers. Their instrumental arrangement flows like a film score, over which it would be easy to imagine a cinematic shot of rolling hills, a sweeping landscape or a sad, romantic scene. Watch The Piano Guys’ stunning BTS “Epiphany” cover video above. “Epiphany” is one of BTS’ many ruminating, signature ballads. The band’s large global ARMY fan base connects with the group’s songs from all over the world, despite the boys singing in their native language. BTS has had a phenomenal year in the wake of Love Yourself: Answer’s massive chart-topping success. They’ve broken YouTube records and garnered all kinds of accolades, including winning a Favorite Social Artist Award at the 2018 American Music Awards. 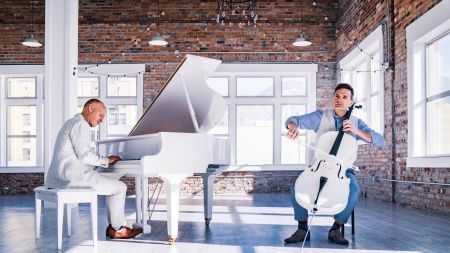 The Piano Guys are touring in 2019. Select presales launched today. General public on-sale starts Friday, Dec. 7 at 10 a.m. local time. 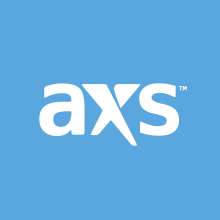 Browse a list of AXS-ticketed shows and grab your tickets from AXS here.